I think of my temper as a chemical reaction. Mostly it’s stable and inert, but add just a touch of tired grumpiness and BOOM you have the equivalent of caesium in a swimming pool. As a science geek, I can share with you that the thing I love about caesium is that if there’s no water around it doesn’t react, but if it rains on caesium’s parade, oh boy, you’re in trouble. Just like I was when I broke my sister’s arm throwing her off the trampoline when I was nine. I learned most about caesium and keeping my temper from my 11-year-old, who adores chemistry. He’s far less temperamental than I am, and mostly manages to keep calm when his school science lessons don’t involve anything exploding. I tell him stories about safety and about how cool it will be when he gets into a real lab, but those stories aren’t real, they don’t engage him like the periodic table of videos where they blow up pumpkins with liquid nitrogen and find different and better ways to add caesium to water to make the biggest bang. That’s what change does, it explodes into our lives and if it’s combined with the right elements, it mixes into something with real impact – a fascinating, potentially explosive story. The excitement and love of blowing things wide open is part of the reason I love the ethos of the Story Collider. The aim is to bring scientists’ stories and science stories to life. Each live Story Collider performance is held in a bar and involves five brave souls telling a story about how their lives have changed for ten minutes each: no notes, no props, and no powerpoint presentation. 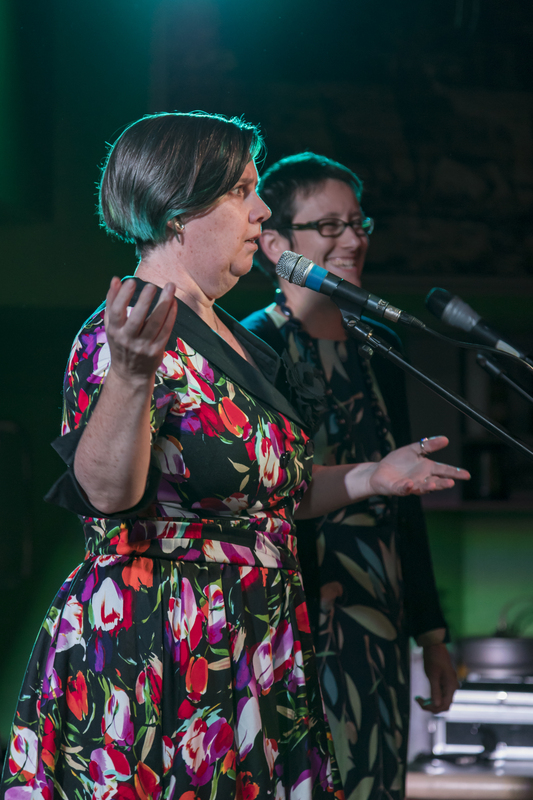 Ceridwyn Roberts at Story Collider Wellington, May 2018. Credit: Sciencelens. Building on the success of the first two New Zealand shows in 2017 and 2018, we’re running a new Story Collider show in Wellington on 12 March 2019, using local producers and local storytellers. So we’re looking for story tellers with story ideas. You don’t need to be an experienced performer, you just need that passion and drive, and a story to tell. Whether you dig for ancient fossils or just dig experimenting with your kids, science is shaping your life and mine. And that means we all have science stories to tell. We want teachers, physicists, comedians, IT geeks, social scientists, writers, doctors, mathematicians, and more telling their stories. All you need is for your story to be true, and, in one way or another, about science. Some will be heart-breaking; some hilarious. We’re looking for people who want to tell others about the times things went wrong, and occasionally right, when their lives and science collided. If you’re interested in telling your tale, there are some hints here. The story must be about YOU and it must have an arc. This means that you, the storyteller, experience change from the beginning to the end of the story. This change can be big or small — as momentous as going through IVF or as seemingly insignificant as missing a ride but it has to be there in order to bring your audience along. There is a small time commitment involved. Every storyteller works one on one with a Story Collider producer to brainstorm and shape their story. We will work with you to create something you’ll be proud to present. For examples of stories that our producers have loved, check out the Story Collider podcast page. If you would like to tell a story, send a two-paragraph summary of your idea to stories@storycollider.org by Friday 1 February. Please mention “NZ” in the subject line. 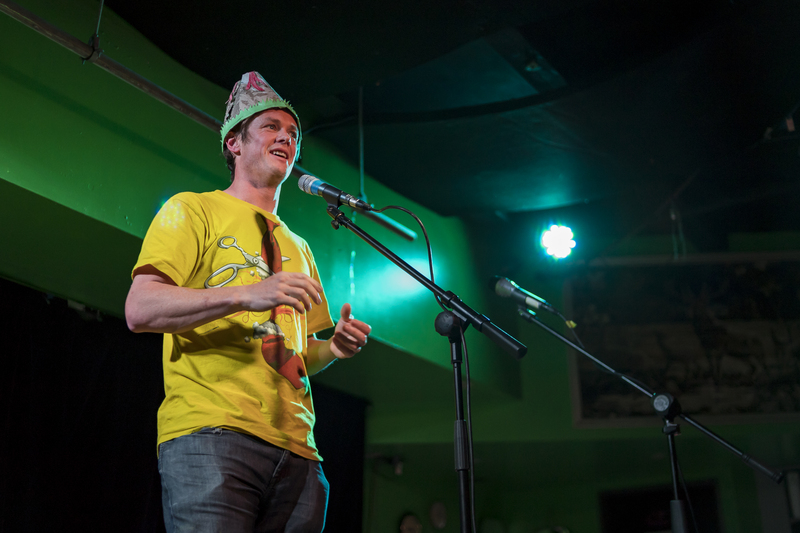 Featured image: Ben Kennedy on stage, May 2018 Story Collider show in Wellington. Credit: Sciencelens.